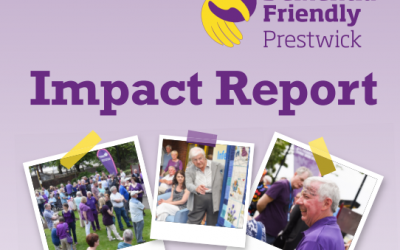 Dementia Friendly Prestwick | A partnership project supporting people with dementia to feel connected to their community. 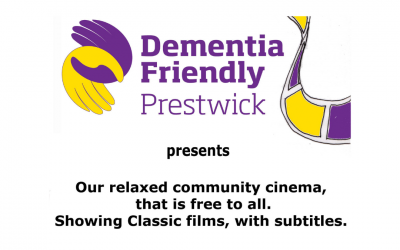 Dementia Friendly Prestwick aims to support people with dementia, and their families/carers, in Prestwick to be included and remain part of their community for as long as possible. We will achieve this through raising awareness of dementia locally, in order to reduce stigma and provide education and advice to local residents and businesses. Dementia Friendly Communities started in Japan. They are now being introduced in the UK and in other countries, predominantly in Europe and USA. Prestwick will be the first dementia friendly town in Ayrshire and one of the few in Scotland and worldwide. 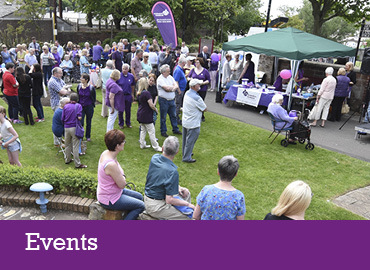 A group of volunteers in Prestwick have set up this initiative in partnership with Alzheimer Scotland, local Health and Social Care Partnership and NHS Ayrshire and Arran. A Steering Group, Chaired by Ian Welsh OBE and an Implementation Group have been formed. Members have received Dementia Friends Training. We launched this initiative in Prestwick on Saturday 4 June 2016. Download our latest Flash Report. 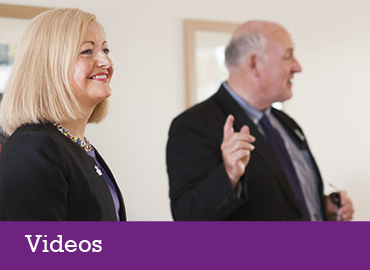 Values for our work are based on what people with dementia have said is important to them about a dementia friendly community.